Around from the south end of the lake this youngster appeared. He was watching something toward the north as he was flying toward the dam. All of a sudden he realized he was on track to fly right over the two humans sitting on top of the dam. The 90º turn he made so un-stabilized him that he had to drop his legs to regain balance. We watched the jink in the air and continued to photograph as the eaglet bolted over the far end of the dam and out of sight. 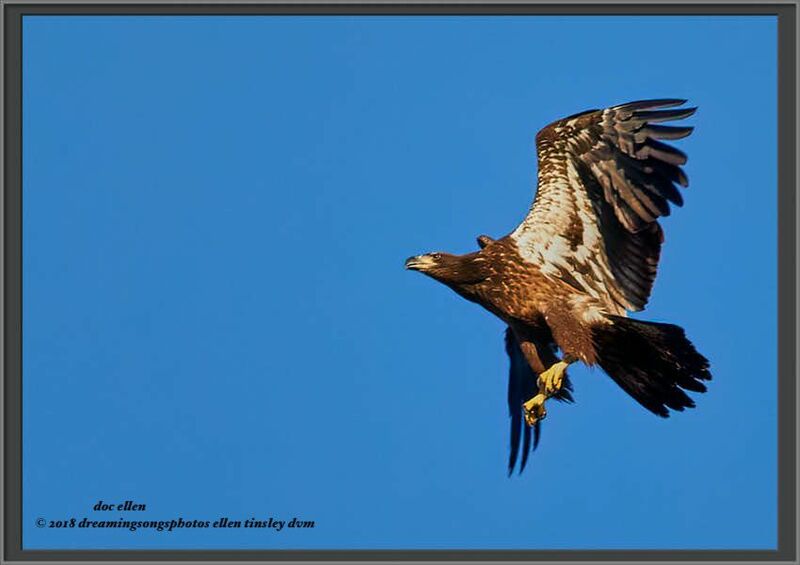 Posted in birds, Eagles of Jordan Lake, Haw River, Jordan Lake, Jordan Lake State Park, photography, raptors, wild birds and tagged as American bald eagle, bald eagle, bald eagle flight, bald eagles of Jordan Lake, eagle, eagles of Jordan Lake, immature bald eagle, immature eagle, Jordan Lake, Jordan Lake State Park, raptor.